In 2015, a couple of major changes were announced to the very important Free Application for Federal Student Aid, also known as the FAFSA. With the changes being implemented next month, we’re going to use this blog post to break down the changes for you. We’re also going to use this space to talk about the implications of these changes for students filing the FAFSA for the first time as well as for student who have previously filed. Previously, the FAFSA, which is a critical part of the college-going process, as it helps determine how much financial aid a student receives, opened each year on January 1, after many students had completed the college application process. This meant that, in many cases, students would learn about college acceptances well in advance of learning about how much financial aid they would receive, leaving them to make a big life decision without all of the information necessary to make it an informed decision. As a result, the U.S. Department of Education has changed the start date of the FAFSA from January 1 to October 1 to allow students and families to complete the form at the same time that they complete their college applications and to allow higher ed institutions to make decisions about financial aid at the same time that they make admissions decisions. The intended benefit here is to help students and families make a more informed choice about where to enroll. 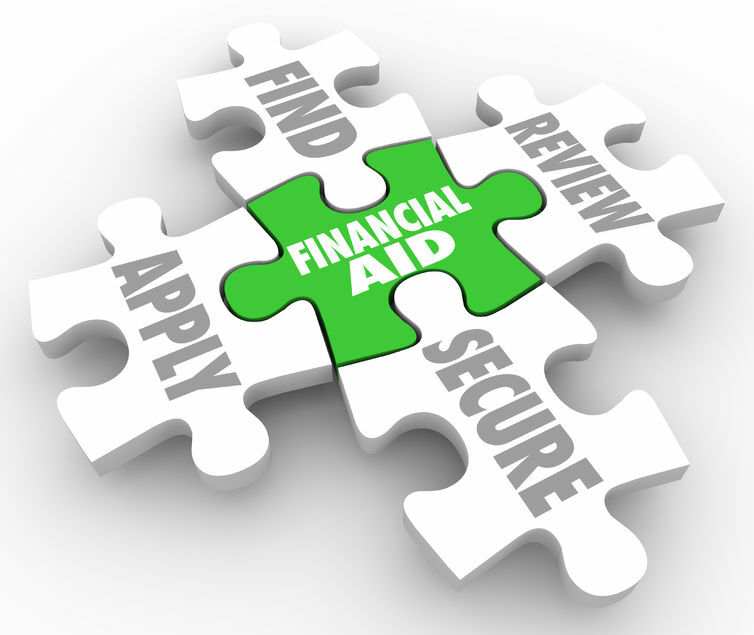 Whereas previously, many students had to declare where they would enroll before knowing how much financial aid they would receive, moving up the availability of the FAFSA will allow them to have a clearer picture about total cost of attendance and how much financial aid they will receive so they can make a sound financial decision. Making the FAFSA available earlier presented a challenge, though. The FAFSA is completed using prior-year income tax information. So, students who enrolled in a postsecondary program for the Fall 2016 semester used their families’ 2015 income tax information. But since families will not have their 2016 tax information yet (because 2016 will not yet have ended by the time the FAFSA opens in October), the second big change to the FAFSA is the use of prior-prior-year (PPY) tax information to complete the form. So, students intending to enroll in a postsecondary program for the 2017/2018 academic year will use their 2015 tax information in order to take advantage of the earlier FAFSA and ideally receive admissions and financial aid award information at the same time. Another benefit to the PPY change is that it makes actually completing the form easier, since nearly everyone who filed their 2015 tax returns can easily transfer that information to the FAFSA form electronically, using the IRS Data Retrieval Tool, taking some of the headache out of completing the form. Great news! You get to take advantage of the new, improved FAFSA. All you have to do is use the IRS Data Retrieval Tool to upload your 2015 tax information to the FAFSA. This will save you time and trouble! The good news is, you also can take advantage of the new, improved FAFSA. The bad news is, you’ve got to make sure the information you shared for the 16-17 FAFSA matches what you will enter for your 17-18 FAFSA. What does that mean? In some cases, there may be a discrepancy between the 2015 tax information provided by students on the 16-17 FAFSA and the 17-18 FAFSA. A discrepancy could occur if a student provided estimated 2015 income on their 16-17 FAFSA (so they could meet the previous February 15 priority deadline if they hadn’t yet filed their taxes, for example) and did not go back in and adjust the income when they filed their taxes. The 16-17 FAFSA would show the estimate, but the 17-18 FAFSA, using the IRS Data Retrieval tool, will pull the actual 2015 income information. Such a difference can alter a family’s Expected Family Contribution (EFC), which particularly impacts low-income students who could potentially receive the Pell Grant. The Department of Education is working with higher ed institutions to minimize the impact of potential conflicts that may arise as a result of the use of PPY tax information. • If you used a 2015 income estimate on your 16-17 FAFSA, MAKE SURE YOU GO BACK IN AND UPDATE IT WITH THE ACTUAL INCOME FROM YOUR 2015 TAX RETURN! • Stay in constant contact with the schools you are applying to or enrolled in to make sure your FAFSA is moving through the process properly. • College Now is working hard to stay abreast of the changes and their implications for students, so please make sure to use us as a resource, too! If you have questions, feel free to contact us at 216.241.5587. We will work with you to answer any questions you may have or resolve any conflict that may arise. We believe that the changes to the FAFSA will positively impact students and families in the long run, but no major change comes without some growing pains!